Adriana Beach Club Resort, located in the town of Olhos de agua, is spread over seventeen hectares. The tourist complex has the capacity to accommodate more than four hundred people, most of them families who seek to recover the energy lost during the hard months of work and studies. 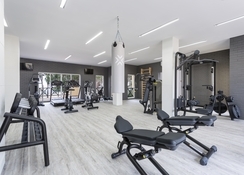 The amount of services and services offered throughout its facilities is immense, which is especially encouraged with the possibility of choosing an all-inclusive holiday. The natural enclave in which it is located gives it the necessary requirements to be a space that combines calm and tranquility with a wide variety of alternatives in terms of leisure time and activities. 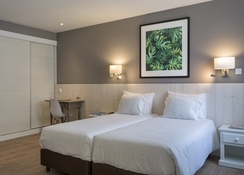 The complex as a whole is surrounded by vast gardens, which just by crossing them give access to the beautiful and clean beaches of the Portuguese Algarve. The Mediterranean climate makes its waters warm throughout the summer and even a good part of winter, making it a wonderful destination for beach tourism. 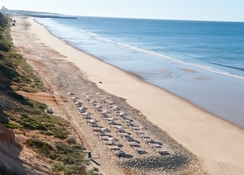 Adriana Beach Club Hotel Resort is part of the town of Albufeira, located in the Algarve, which is considered one of the best beach tourist destinations in Europe. The Poço Velho Beach – Falésia is about 150m from the hotel. The Faro airport is about 35km from the property. 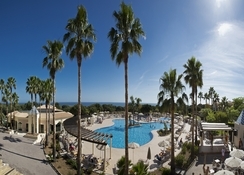 Adriana Beach Club Hotel Resort offers guests a total number of 439 rooms. The rooms are divided into three categories, based on whether they offer basic, standard or superior comfort. In all cases it is possible to request a stay for both couples and family. Guest rooms include a bedroom attached to a private bathroom, both of which are fully equipped areas. All rooms have their own balcony or terrace, as well as air conditioning, television and Wi-Fi. At Adriana Beach Club Hotel Resort the meal service includes a breakfast buffet. The catering offer is rounded off by vegetarian specialties. The Al-Gharb restaurant serves continental cuisine while the O Celeiro restaurant specialises in Portuguese cuisine. Additionally, there is a grill restaurant, two bars and a disco at the hotel. Make sure to visit the spa with gym, Jacuzzi, Hammam and steam room. There is an indoor or outdoor pool. The beauty team is happy to put together a personal wellness package with various massages and beauty treatments. The hotel is happy to provide guests with the equipment for golf, table tennis, billiards, bowling, mini golf, tennis and volleyball. Your child can conquer the children's playground and the playroom. Child care emphasizes the family offer. Not far from the hotel, the leisure activities include cycling, horse riding and sailing. 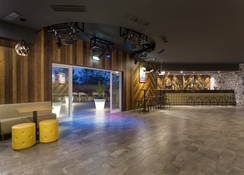 In the evenings, the hotel invites holiday guests to visit the nightclub or karaoke bar. The hotel was very clean, and the choice of food was excellent. The staff worked very hard, and nothing was to much trouble for them. The beech was fantastic just a short walk through grounds. Our little girl loved the kids club, and the staff kept them well entertained. Our room was little small, but cleaned every day. The pool water was freezing, but often find that in Portugal in April. For what we payed it was very good value for money in comparison to other hotels we have stayed at in Portugal. Fabulous place to stay,good price food was lovely lots of choice and staff very friendly would definitely stay again. We had a great time at the Adriana, food was great and the staff were friendly and the range of dri ks was good. My little lad enjoyed himself with the food and entertainment. Really good value for money.Went on an all inclusive and the negatives were relatively minor viz. the buffet was pretty repetitive and was a bit boring (theme nights would have been good) with similar food most days.Probably the biggest let down was the lack of wifi across the site. Other than that the accommodation and facilites were great. Rooms are dated and smell of damp. I'll start this off by saying my review would be 5 stars if the review was solely on entertainment staff, hotel staff and food because all was great apart from the room we stayed in. We are a family of four me my partner and two kids aged 5 and 1 we stayed here for a week all inclusive. The food was delicious and plenty of variety, the entertainment was 5 stars and staff also. The rooms were small, dingy, dated and smelled of damp, this was our first impression of the hotel when we first arrived to our hotel and that impression stayed with us for the whole stay it's a shame really as everything else was on point. I wouldn't return here for that reason alone. Oh yes also no wi fi in rooms and very poor wi fi throughout the reception and rest of hotel.